My Spinning Study Group at Green Valley Weavers had a little fun outside two months ago. 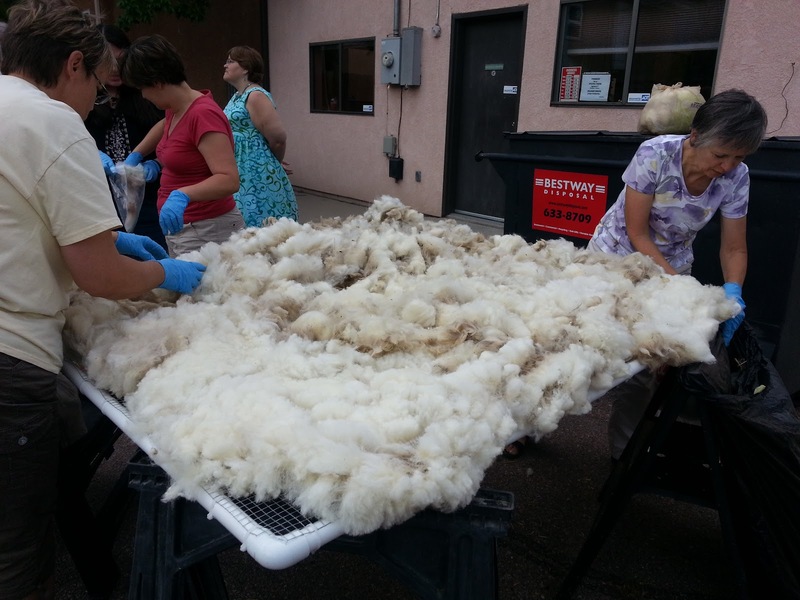 One of the lovely ladies, Heidi, brought FIVE Cheviot fleeces to be skirted and shared with the group. 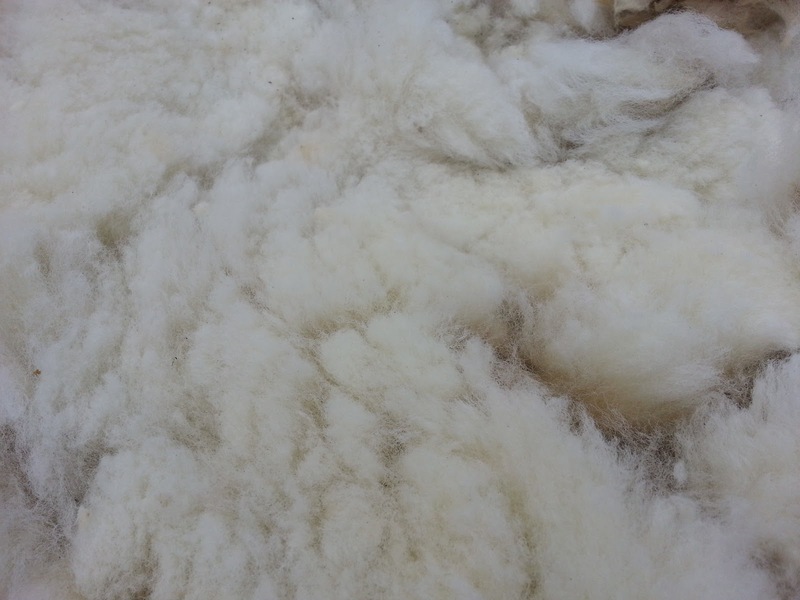 Skirting involves removing the really dirty parts, anything matted, the course sections along the edges, and any second cuts (where the fleece has been clipped or sheared twice, leaving short pieces). We skirted . . .
and skirted . . .
And skirted. We filled up so many bags that everyone got to take home as much fleece as they wanted. I got a little bit from three different fleeces, and it's interesting to see the difference in coarseness even between each sheep, much less as compared to another breed. Additionally, I brought home a big bag of the dirty bits to add to my compost bin. 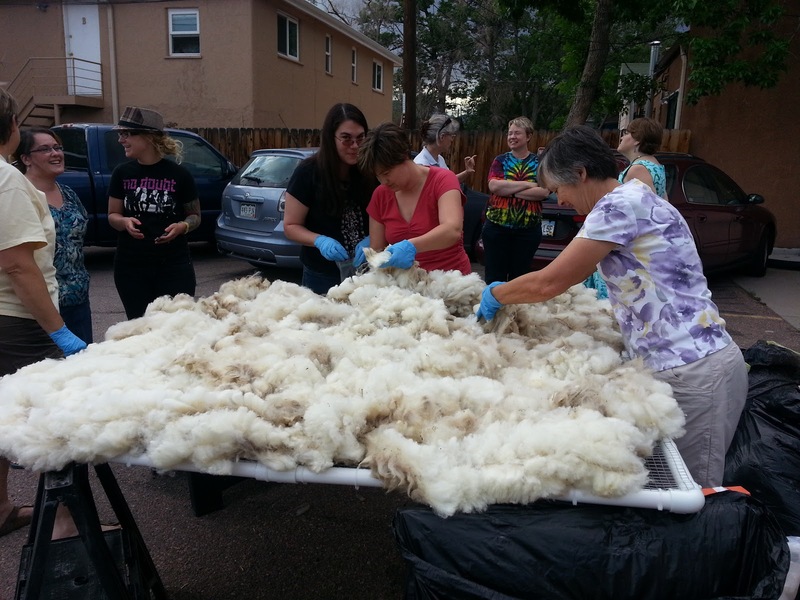 As part of our "study" we plan on using a variety of methods to scour, or wash, the fleece. I'll let you know when I decide which method I want to use, and how well the process works. I better hurry, we're running out of nice days! On a more practical note, apparently I should get my tetanus booster updated if I plan on playing with raw wool. Who knew?